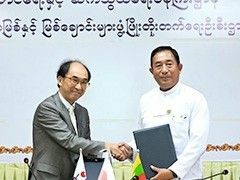 ​8 Oct 18 - Myanmar Times - Myanmar's Directorate of Water Resources and Improvement of River Systems (DWIR), under the Ministry of Transport and Communications, has signed an agreement with Japan International Cooperation Agency (JICA) for a grant worth ¥6 billion (K79.8 billion) that will be used for the development of Mandalay port. 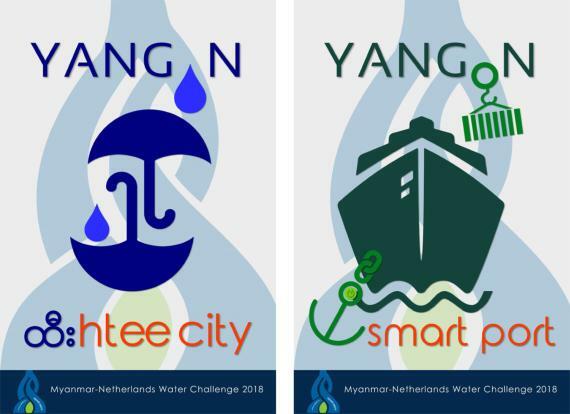 The aim of the project is to improve cargo handling efficiency and enhance inland water transportation by modernising Mandalay Port, one of the country's biggest river ports. Under the agreement signed on Wednesday, DWIR will follow JICA guidelines for tenders and obtaining consultancy services tied to the project expected to take two years to complete. The site of the project is located along the Mandalay-Sagaing circular road, between Mahar Aung Myay and Amarapura township. Under the project a 300-metre road with three weighbridges, a container yard, jetty, cranes and warehouses will be built. "There has not been much modernisation in Mandalay Port, so a lot of the work has to be done with man power. Improvements need to be made to the port's facilities for better performance," said DWIR Director U Aung Myo Khaing. After the project is completed, loading and unloading is expected to become more efficient, speeding the flow of goods. It is hoped that the improvements will make transporting goods by river more efficient and make this mode of transport a viable, cheaper option to sending goods over land. U Aung Myo Khaing said the country's logistics and transportation needs are projected to be triple what they are now by 2030, making river transportation a vital method to support road and railway systems. "Cheaper transportation will help lower commodity prices and help the economy grow," he added. The project is one of the major goals under the 2014 National Transport Master Plan formulated with the help of JICA.